Born 1958, Sydney, New South Wales. 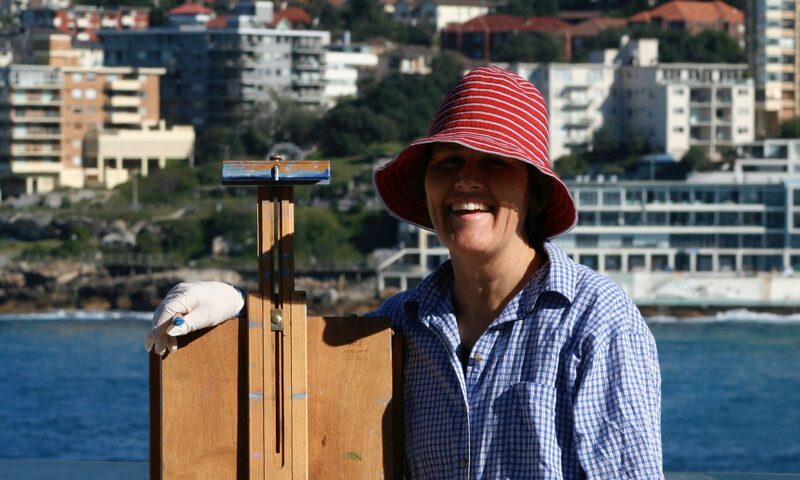 Judy has been painting since her first award in 5th class at Vaucluse Public School. 1970: Ascham School, Edgecliff, Sydney. 1974: East Sydney Tafe (NAS) Textile Design and Printing, Sydney, NSW. 1989: Dubbo Western Institute of Tafe, NSW. 2010: Advanced Diploma, Charles Sturt University, Wagga Wagga, NSW. 1987: Currububula, Art Exhibition, NSW. 2008: Mosman Art Prize, finalist, Sydney, NSW. 2008: Wagga Wagga Rotary Art Prize, Best Judged in show. 2008: Blake Prize Finalist, Sydney, NSW. 2009: Country Energy, finalist, ‘Country Scapes’ Art Prize, NSW. 2011: Junee Art Exhibition, Watercolour Prize, NSW. 2011: Griffith Flavourtech ‘Exsposed’ finalist, NSW. 2011: Blake Prize, finalist Sydney, NSW. 2011: Brunswick Street Gallery, Melbourne, VIC. 2011: Coolamon Up-2-Date Art Prize, NSW. 2012: The Olympic Park Award, Residency (The Amory) Sydney, NSW. 2012: Go fish Publication Advision, Wagga Wagga, NSW. 2013: Calleen, Central West Regional Award, finalist, Cowra, NSW. 2014,15,16: Lethbridge 10000 finalist, Brisbane, QLD.